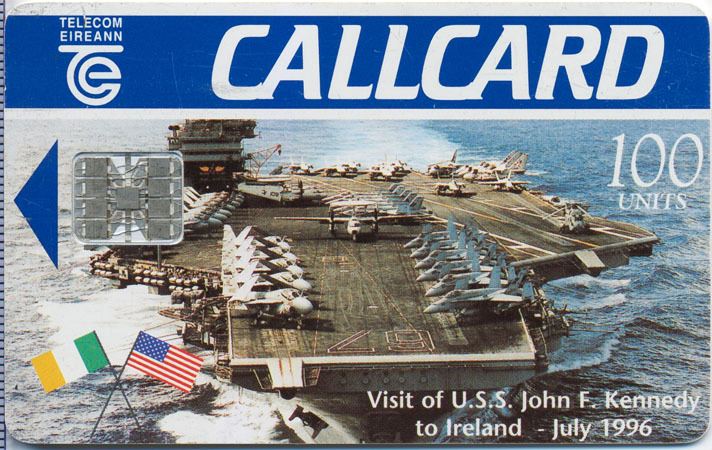 Callcard issued to commemorate the historic visit of the U.S.S. 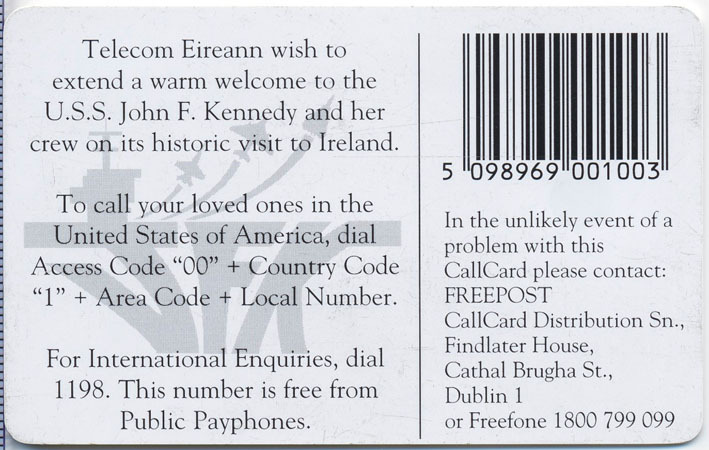 John F. Kennedy CV-67 Aircraft Aarrier, which visited Dublin from the 2nd to the 7th of July 1996. See more info here via Wikipedia.